Abayomi Azikiwe, editor of the Pan-African News Wire, featured on Press TV World News. Azikiwe is a frequent commentator and writer on African and world affairs., a photo by Pan-African News Wire File Photos on Flickr. Press TV has conducted an interview with Abayomi Azikiwe, the editor of the Pan-African News Wire, about the ongoing unrest in South Sudan. What follows is an approximate transcription of the interview. Press TV: Mr. Azikiwe, let’s have your thoughts. Do you agree with the idea that this is a proxy war and who would you say should be blamed for triggering this crisis and do you agree with our guest that this all stems from the independence of South Sudan? Azikiwe: Yes. I think that there is a huge question in regard to whether or not South Sudan is a viable nation-state because when it broke away some two and a half years ago from the Republic of Sudan in the north, the country was not capable, had very limited infrastructure. At the same time it was wholly dependent upon the various entities in the north for refining of oil and also for the transport of oil from South Sudan to the Republic of Sudan. China has a very important role in this whole scenario. It is interesting that the United States was largely blocked out of the intervention in regard to the oil industry for a number of years because they have not had good relations with the Republic of Sudan and Khartoum. Most of the concessions for Sudanese oil even prior to the partition were held by state-owned firms from the People’s Republic of China. Also since the partition, there have been disagreements between Juba, the capital of the Republic of South Sudan and Khartoum, the capital of the Republic of Sudan, over border demarcations also over the terms under which the oil industry in both countries should operate. 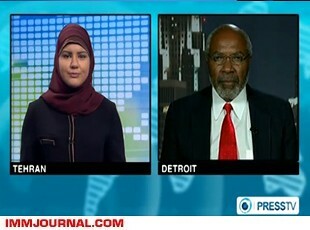 Press TV: Mr. Azikiwe, would you agree that the African Union at this stage is very important in terms of the steps that it should be taking, the level of involvement and our guest there was earlier suggesting it should not be following in the footsteps of for instance the United States, etc.? Azikiwe: Yes I agree that the AU has a very important role to play in this whole process. The former South African President Thabo Mbeki had been appointed as an envoy to negotiate a resolution to the outstanding issues involving the partition of the Republic of South Sudan and the Republic of Sudan. I think he has done an excellent job in that entire process. The two states were on the verge of another large scale military conflict during 2012 that appears to have subsided to a great degree but at the same time these issues still remain unresolved and there are questions in South Sudan as to whether or not the government in Khartoum is supporting the dissidents who are acting on behalf, it appears, of the ousted Vice-President Riek Machar as well as other military commanders in Jonglei state as well as Unity state who were declaring their allegiance not to President Salva Kiir but to the ousted Vice-President and these issues are very, very complicated. But I wanted to also make a comment about the role of China in Africa. China just did not get involved in Africa over the last decade; they have been involved for decades. The Chinese have supported many of the national liberation movements in Africa, in Zimbabwe, in Mozambique, and in other countries and I do not think it is fair to suggest that China has the same type of approach to these emerging African states as the United States. They do not have a history of slavery and colonialism in Africa, neither do they have the same type of economic relationships that exists between the United States and Africa as well as some of the Western imperialist countries and Africa. So I think we need to make that distinction between the role of China in Africa as well as the role of the United States in Africa. Press TV: Mr. Azikiwe, if you can quickly tell us, do you think that South Sudan can at this point in time overcome the challenge that it is facing or do you think it is just too much to handle? Azikiwe: I think it can overcome. There needs to be dialogue between the major contending forces that are fighting right now inside the country. I do believe as well that the African Union has to intensify its involvement and try to mediate this crisis right now in South Sudan. The East African regional organization, IGAD, the Intergovernmental Authority on Development did send a delegation there but it is going to take more of the authority of the African Union to intervene in this conflict to bring about a solution. I do not believe that the US or the UN can bring peace to South Sudan. What Should Be Government's Top Priority? Will the New Somalian Prime Minister Lead?